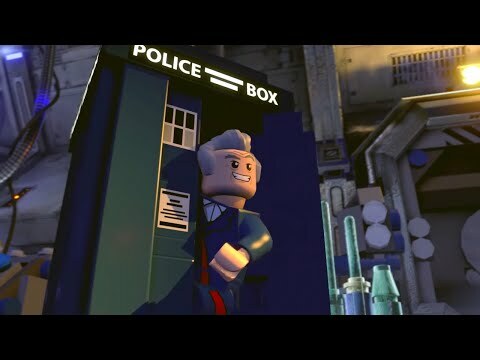 We’ll be reviewing the Doctor’s Lego Dimension pack shortly but needless to say it’s as fun as you would expect a Lego Doctor Who cross over would be! Until then enjoy 12’s lighthearted arrival in the Lego world (should offset tonight’s more serious episode). Holy Batfleck err Batman, ‘Batman and Superman’ content comes to Arkham Knight! Gone but not forgotten, bonus Clara content from the BBC! The BBC may have just ripped your heart out through your tear ducts (probably to prepare you for oncoming Cyber-conversion) but they’re not completely without mercy. To help you fill that small but upbeat Jenna Coleman sized hole they’ve generated some excellent content to distract you. It’s the end but the moment has been prepared for, as they say. Relive the most heroic moments from the Doctor’s latest companion. Or listen to Jenna reflecting on working with Peter Capaldi. But if you need humor to heal then this gag reel of Jenna’s outtakes may help. Perhaps you need to move on and embrace a universe without Clara, if so then braveheart faithful reader and watch the trailer for this weeks episode. Outpost Skaro was at the hugely successful Doctor Who Festival last weekend (catch Friday’s podcast for Shinyford’s description of events).